Adobe Premiere Elements 2018 offers most of the same basic video editing features you’d find in other consumer packages, but it separates itself from the pack with tutorials and automatic curation and content creation features that very nearly (but not quite) do all the work for you, as long as you don’t mind if your videos look generic. It's this easy access that makes Adobe Premiere Elements our top-rated consumer paid video editor. Read all of our video editing software reviews to find out how we tested, what to look for and more. The main video editing interface is broken into three views: Quick, Guided, and Expert. Quick and Expert are basic versions of the same video editing experience you get in most other software. The latter exposes more options to you than the former. Guided prompts you with a series of questions and holds your hand through common video editing tasks like adding and arranging clips, trimming and splitting them, adding transitions, and adding titles. Those are just the basics. Other guided walk-through categories include Video Adjustments, Audio Adjustments, and Fun Edits. The last of those includes common techniques like slow motion, freeze frames, and picture-in-picture. It can even generate those animated social videos that combine words and videos in your Facebook feed. Guided mode doesn’t necessarily create a usable video for you—think of it more like a tutorial. However, there are multiple modes that do most of the heavy lifting in cranking out videos for you. They include Favorite Moments, Instant Movie, and Video Story. Video Story, for example, can create a graduation video by letting you drag and drop clips right into the usual components of a video like that: dressing up, the speech, and so on. This can produce some very generic-looking videos, but it does make things a lot easier. Other features allow you to create video collages automatically, or edit music files down to match the length of your video with only a couple of clicks. But what really differentiates Adobe Premiere Elements from competing consumer video editors is its machine learning and artificial intelligence features. A feature called Smart Trim intelligently grabs a bunch of short, Instagram-length mini videos from that 45 minutes of raw footage you imported. Another feature called Instant Movie lets you set some initial parameters and completely edits the video for you from provided media. We found this one to be very hit-and-miss: For example, it couldn’t tell if there was already music playing in a clip and just layered additional music on top of it for a cacophony. But if you learn its limitations, it could save you some time. 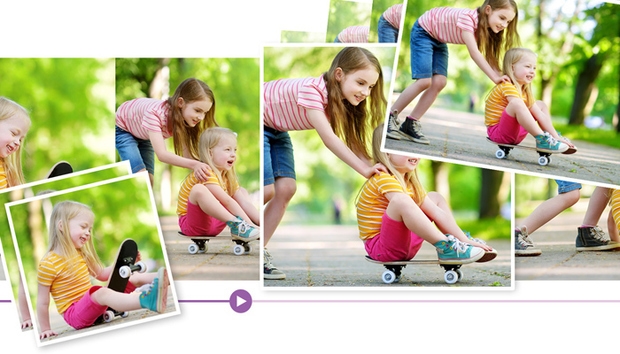 Adobe Premiere Elements 2018 is perfect for people who want to make home movies to share with friends, but who don’t have much video editing experience. It also offers decent functionality for more experienced editors who don’t want to follow the walk-throughs. But other, more robust software might be better if you’re a power user pursuing YouTube stardom. « LTE filters for TV antennas: what they are and do you need one? How a Cameroonian IT Startup is Changing the Image of IT and Providing Job Opportunities in Africa.